Djemaa El Fna Square is in the heart of Marrakesh, Morocco is like no where else on earth, and an adventure not to be missed after dusk. 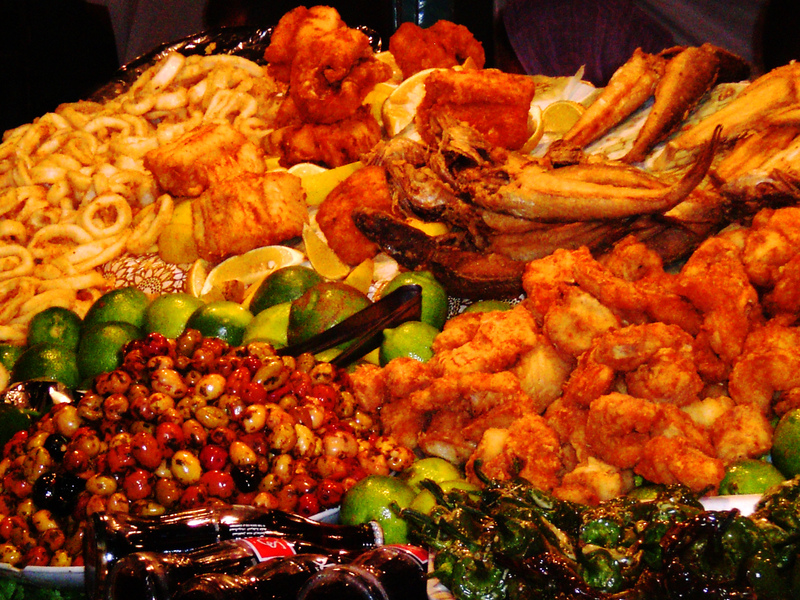 Courageous travelers in Morocco will definitely want to eat in the Djemaa El Fna Square. 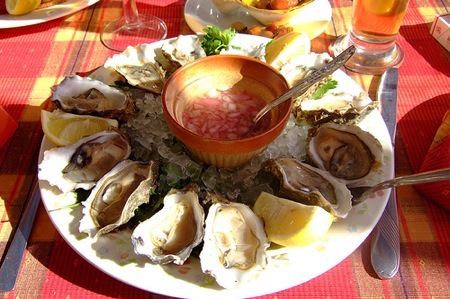 Tourists can avoid any chance of illness simply by sticking to foods that are actually cooked in front of them, and passed over to be eaten off of a clean paper. 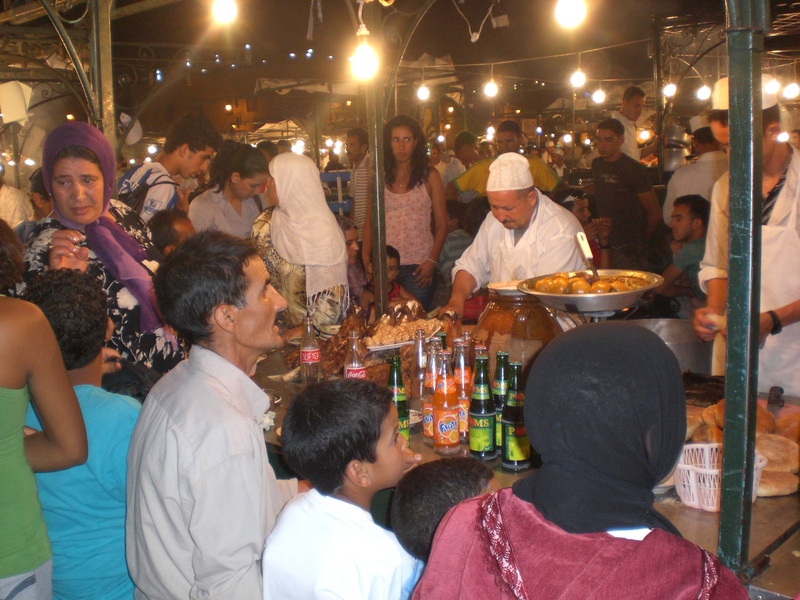 The Moroccan family in the photo above is waiting for their main course to come out of the cooking pot in front of them.Whether you choose to eat or not, just a stroll through the Djemaa El Fna Square in the evening can provide some very unique photo opportunities. 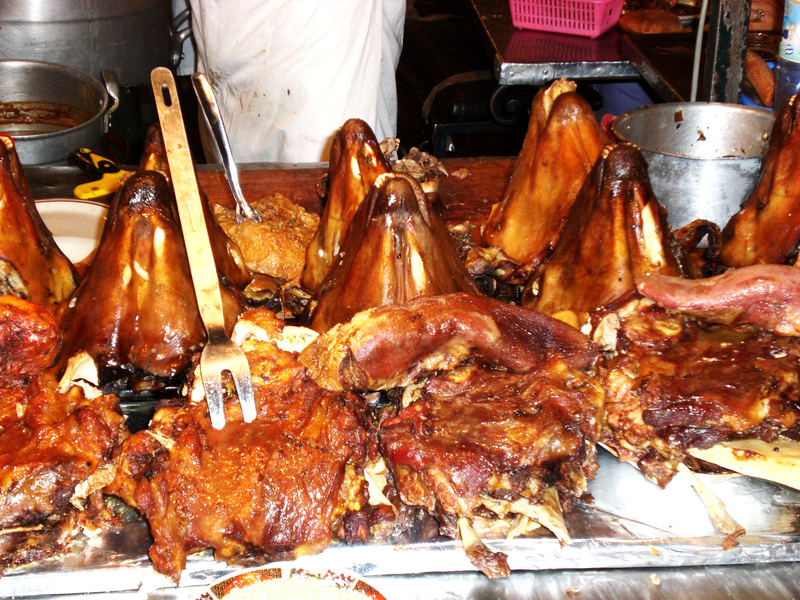 Really adventurous diners will want to try sheep heads in Djemaa El Fna Square. While most people in the West aren’t aware of it, bologna is made out of the tender meat of the face. 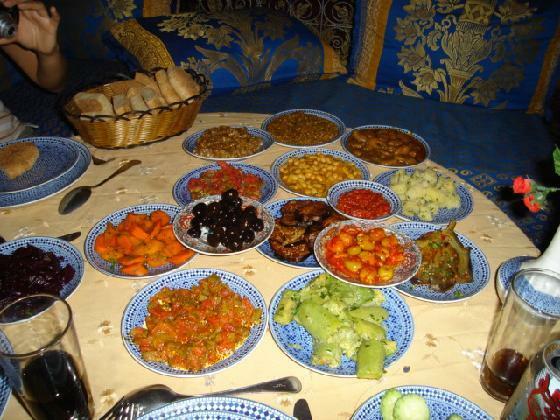 You can also try tongue, brains (a Moroccan favorite), heart, liver, or pancreas stuffed with rice and currants. Some tourists may just want to take pictures of these things to send back home. Once you have completed your meal, you step behind the serving cart, where a man is ready with soap and ladles of clean water to let you wash your hands. 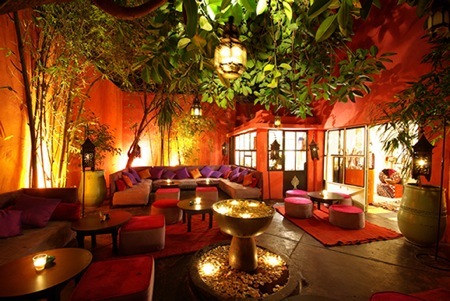 Either before dinner, at sunset, or after eating, you may wish to sit up in Café Argana, a landmark in Djemaa El Fna Square where you can enjoy a spectacular view of the lively and exotic Square while sipping Moroccan coffee or tea. 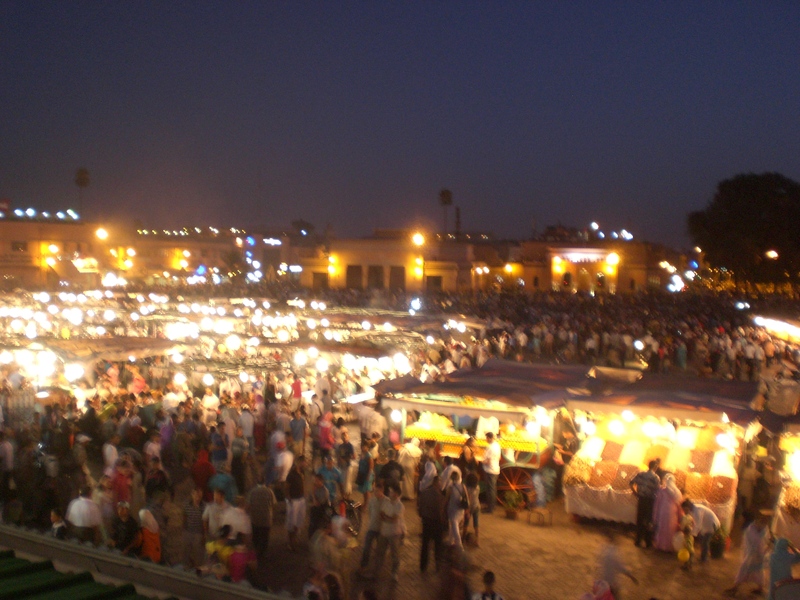 The Djemaa El Fna Square is located next to the main entrance to the Marrakesh Souks. 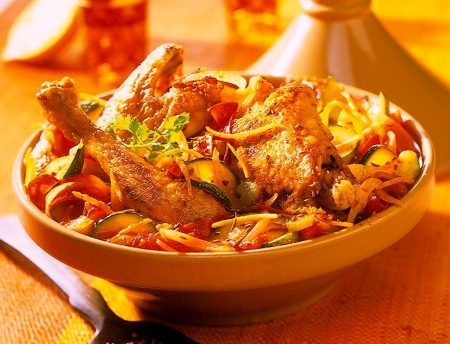 A meal in the Square can also be a great start or finish to your Marrakesh one day tour or even a Sahara Desert Tour . 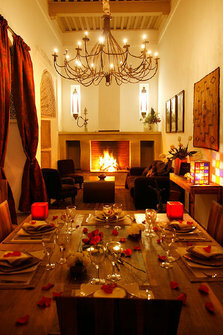 You are currently browsing the archives for the Dining experience in Marrakech category.